Rene has worked at Southside Autos for 14 years. 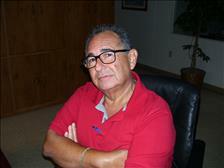 He is originally from Barranquilla, Colombia and moved to the United States in 1965. He lived in Chicago until 1997, when he relocated to Orlando, Florida. Rene is married to Ivonne, and has 3 kids and 6 grandchildren. Cathy has been with Southside Autos since 2011. She has been in the car business for over 25 years, working as title clerk for new car franchises and the Orange County tag office. Her knowledge of tag and title work is an incredible asset to the company. Cathy is married to Pete Knight, and she has one son, Ryan. John has worked for Southside Autos for over 20 years. He graduated from Florida Tech University in Melbourne, Florida with a Degree in Business Administration. He also was the starting catcher on the Florida Tech Panthers baseball team. He has two sons, Zachary and Luke. He enjoys playing golf and hanging with friends and family!